Thank you for stopping by on the Block Tour Road Rally! Here in New England, a chill is in the air and winter is approaching. I know that the time to clean out my garden beds is coming to an end and I am not quite ready yet. Let me introduce my block, Jagged, a block that I designed while it was still warm enough wear flip flops! Sigh. 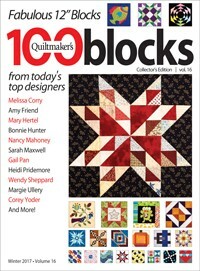 I used my improv paper piecing technique to design this block. I know that improv paper piecing sounds like an oxymoron but it combines the asymmetry and irregularity of improv lines with the paper piecing technique. 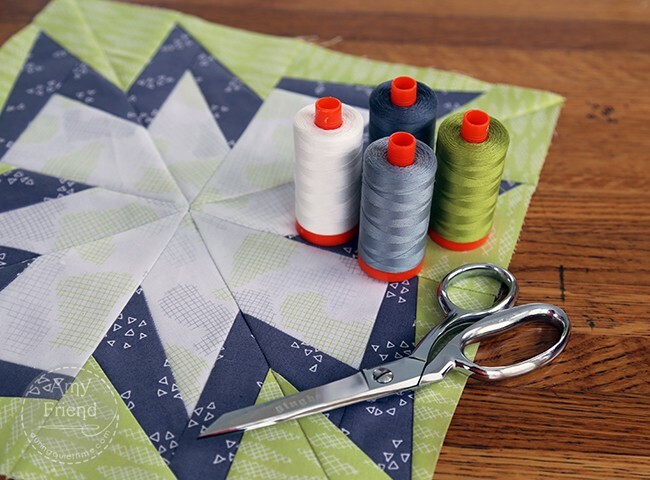 You can learn all about it in my book, Improv Paper Piecing: A Modern Approach to Quilt Design. I sewed my block up in Improv fabric, my first fabric collection with Benartex. I chose the citron and grey color grouping. If paper piecing is my obsession, modern quilt design is a close second. I mocked up this block in a few different colorways of Improv fabric, in a modern layout that combines alternate grid and negative space. 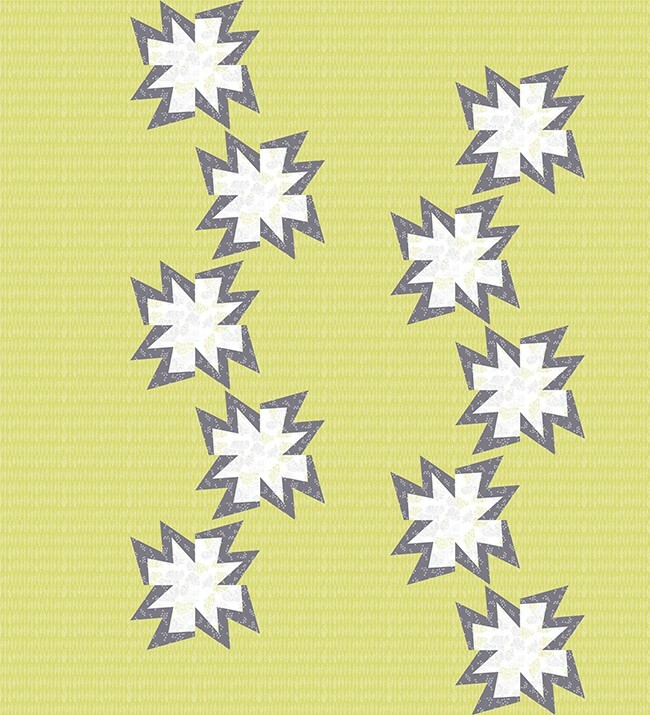 Here’s the citron colorway, simply the block as pictured in Quiltmaker’s 100 Blocks, but staggered in a layout with some negative space. 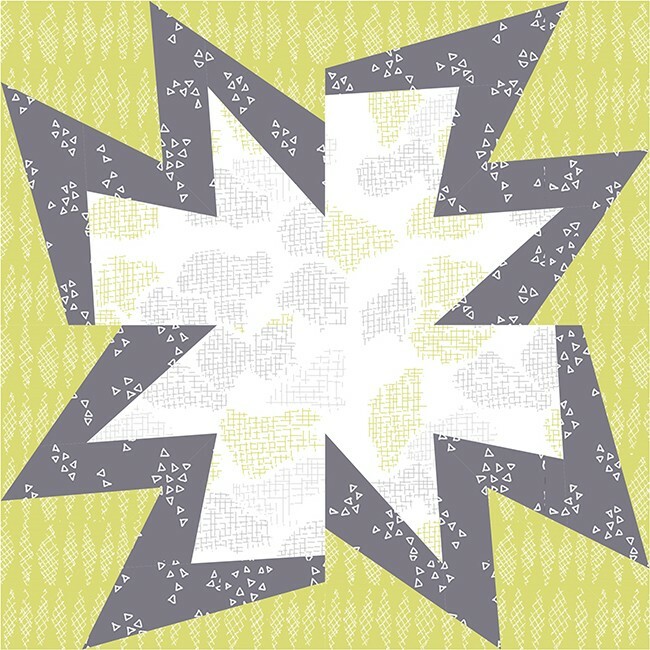 I like the movement created and especially that fun negative space shape in the center of the quilt created by the jagged edges and points of the blocks. 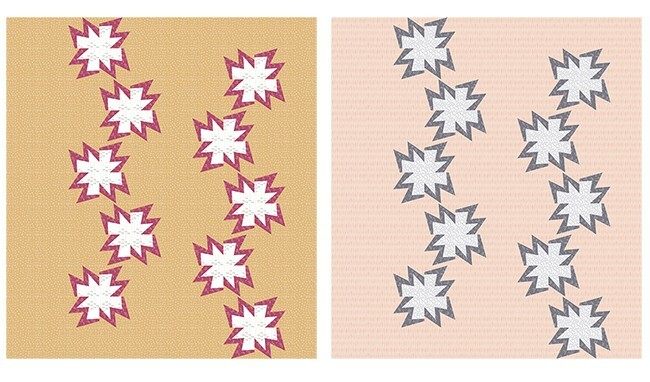 For fun, I recolored the quilt design in EQ8 software in a cinnamon and rose version on the left, and a peach and charcoal version on the right. These are both colorways of Improv fabric as well. Each version looks so different! The light cinnamon and rose version feels like fall to me. The peach version feels cool and icy. When I paper piece, I have a few favorite tools. First off, I always use Aurifil thread. I use the 50 weight for piecing (and often for my quilting too). The threads pictured here and used in the block can all be found in my Aurifil Designer Collection. I just love these colors! 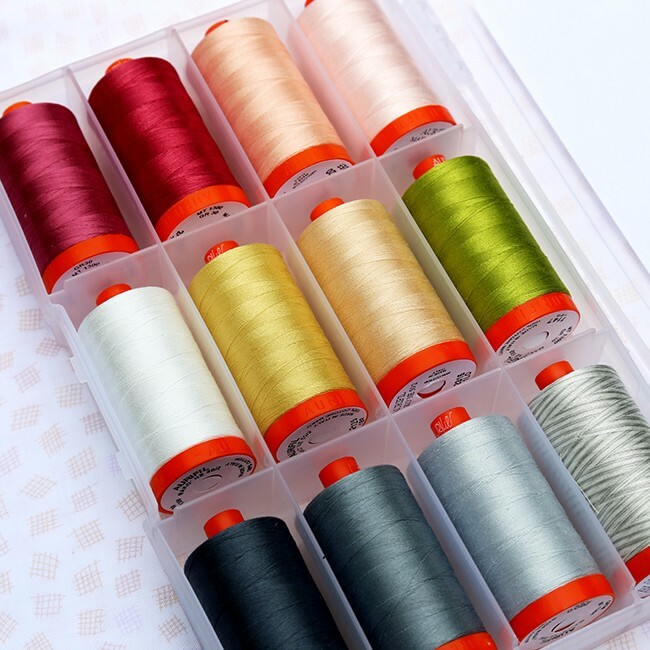 After I thread my machine with Aurifil, I like to switch out my needle for a #90/14 Topstitch Superior Titanium Coated Needle and I decrease my stitch length to about 1.7 mm. If do you do this, it will make your paper removal so much easier! I hope you have enjoyed this stop on the block tour. I’d like to offer a couple of giveaways to thank you for your visit! 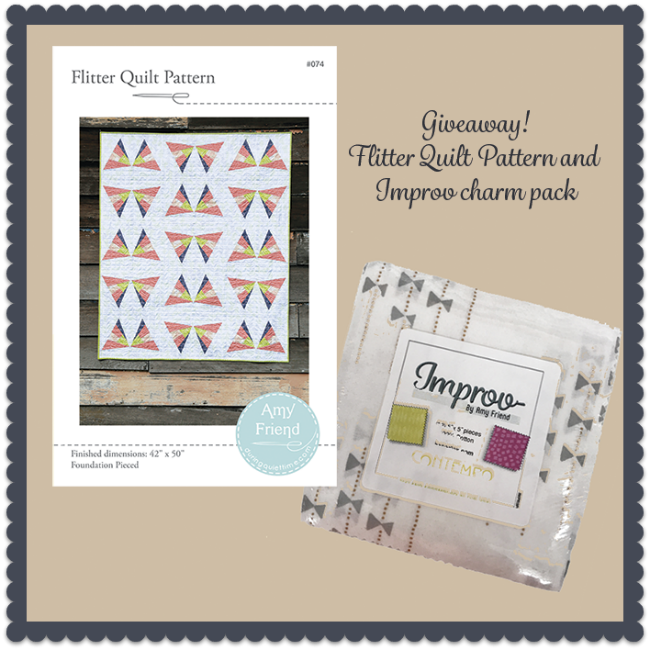 One lucky winner will receive a copy of the Quiltmaker’s 100 Blocks Volume 16, another winner will receive a charm pack of the Improv fabric that I used for my block, and a copy of my Flitter paper pieced quilt pattern. Enter using Rafflecopter before 12:00 AM on November 17th.